displaying spontaneous dance acts and engageing spectators. Journey started from Westminster Bridge and continued along South Bank, over Golden Jubilee Bridge to Trafalgar Square. and were settled down at St James's Park around 5pm. To celebration attended London Estonian Society folk dancers and society headlady Evelin Siilak, many quests from Estonia, Hungary, Poland, and other spectators. Also joined Raido Bergstein, who is leader of Estonian Dance Agency (Eesti Tantsuagentuur) and one of the leading member of Estonian Dance Art and Dance Education Union. Raido also gives Estonian folk dance classes in Oslo, Norway to group called Viikingid. It was very exiting share ideas and experience about Estonian folk dance abroad. Together were presented Estonian grand folk dances such as Reilender, Kaera Jaan, Kikapuu. "What a fun day it was", said Estonian Folks founder Marje Remmet. "I just love that kind of sudden acts. Adds sparkle to a regular training routine. Lot of great memories were made this year dance day", is Marje pleased with the outcome. Last year dance was Kikapuu. 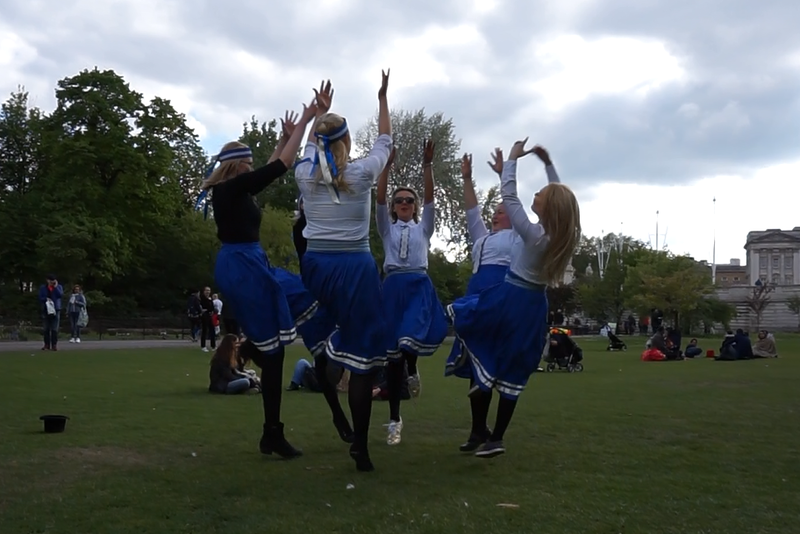 Watch Kikapuu video danced by Estonian Folks here. 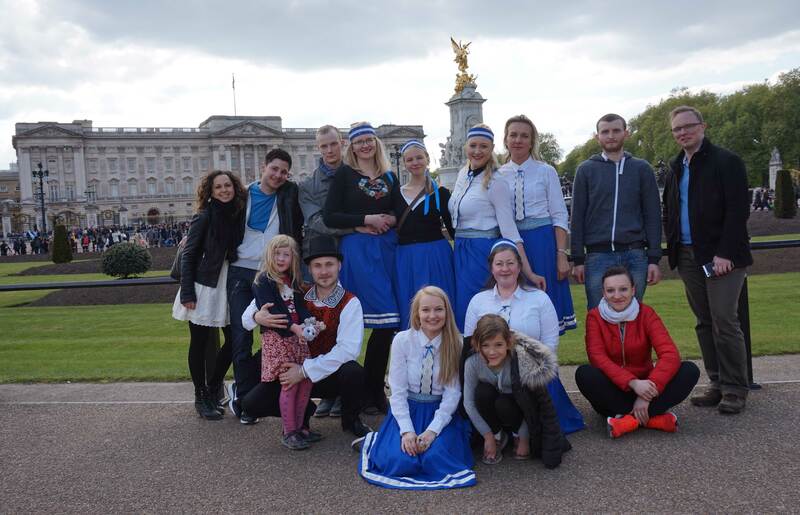 About the last year celebration in London you can read from Estonian World.